Organized business trade exchanges have created a platform to renew and refresh one of the oldest forms of economic growth: barter. Could the commercial barter exchange model be used to expand and develop microfinance? Peter and Chris Haddawy explain how barter trade works and how the model could be utilized by MFIs. A hotelier in South Africa anticipates that he will have a certain percentage of rooms available on most nights during the low season. The hotel decides to offer these empty room nights to an exclusive membership of businesses on a trade exchange. In return, the hotel obtains advertising, transportation services and employee incentives, all things they needed but did not have the surplus cash to pay for. Using a trade exchange has allowed the hotel to turn its excess capacity into thousands of dollars in products and services. The modern barter trade exchange industry has existed for over forty years, surviving and growing through numerous changes in the economic landscape. The International Reciprocal Trade Association estimates that in 2007 the trade exchange industry made it possible for over 400,000 businesses worldwide to utilize their excess capacities to earn an estimated US$10bn in previously lost revenues. This is up from US$8.25bn in 2004. In terms of income, excess business capacity represents the difference between actual cash revenues received, and the cash revenues and profits that would be realized, if a business operated at 100% of its capacity. Broken down by geographic region, there are approximately 500 commercial trade exchange companies operating in North/Latin America with an estimated annual trade volume of US$2.3bn, 100 commercial trade exchanges operating in Europe and the Middle East with an estimated annual trade volume of EU1.8bn, and approximately 100 commercial trade exchanges in Australia/Asia with an estimated annual trade volume of AUD1.85bn. As a specific example of the kind of growth possible in this industry, BizXchange, a retail and corporate barter company based in Washington, California and Dubai, has grown to include nearly 1500 member businesses since its inception in 2002 and currently facilitates over US$30 million in increased commerce between its members each year. A barter trade exchange is a collection of businesses that trade their goods and services, called the barter pool, managed by an intermediary, called the trade exchange. In modern barter, businesses do not exchange goods directly in the bilateral fashion of traditional barter. Rather, modern barter is multilateral, using a form of private label currency. The trade exchange issues trade dollars to the member businesses and acts as a neutral third party record keeper, similar to a bank. When a company sells a good or service, they receive credit in trade dollars for the full retail amount of the product sold, which they can then use to purchase goods and services from any other member in the exchange. The value of the trade dollar is tied to the national currency providing standard pricing guidelines that do not permit businesses to charge more for their goods in terms of trade dollars than they do in the open market, thus preventing devaluation of the currency. A barter pool is a relatively closed economy about which we have very detailed information due to the bookkeeping function of the trade exchange. The trade exchange maintains a general profile for every member business, as well as complete records of all transactions between members. A barter pool has many similarities with a traditional economy, with the trade exchange playing a role analogous to that of the federal government in regulating the economy. The exchange controls such variables as monetary supply, interest rate, rate of commission (analogous to revenue tax), and even supply and demand through its ability to selectively recruit new member businesses. Interestingly, although it has control over all these parameters, the trade exchange works to stimulate the barter pool economy primarily by making referrals to member businesses through trade brokers. A barter pool can be viewed as a carefully managed small-scale economy. Managers of trade exchanges attempt to recruit member businesses in such a way that supply and demand for each product category in the pool are approximately balanced. Member businesses are typically small to medium sized enterprises that offer products and/or services. They fall into the broad categories of general operating expenses, employee benefits, and travel and entertainment. Examples of typical businesses in barter trade exchanges include car rental, catering, advertising, office equipment and furniture, office supplies, dental services, health clubs, restaurants, and hotels. It is a common misconception that the primary benefit of barter is to avoid taxes. In fact, the US Tax Equity and Fiscal Responsibility Act, passed in 1982, legislated that barter income be treated as equivalent to cash income and taxed on the same basis. When a business joins a trade exchange, it typically pays a membership fee. This represents a small fraction of the revenues of the trade exchange. The primary revenue is made by charging a fee to the buyer and seller on each transaction. The fee is typically in the range of 10 to 15 percent, split equally among the buyer and seller, and payable in US dollars (in the case of BizXchange). When a business joins the trade exchange, they are issued a line of credit in trade dollars, which permits them to make purchases without first having to sell and also gives them flexibility in conducting transactions. The trade exchange charges interest on negative balances also payable in trade dollars, usually at the same rate as major credit cards. In order to give a company some control over how much of their profits are accrued in terms of trade dollars, the trade exchange permits the member to set an upper limit on the amount of trade dollars they are willing to accumulate. The credit line and upper limit define the financial operating range of the business within the barter pool. 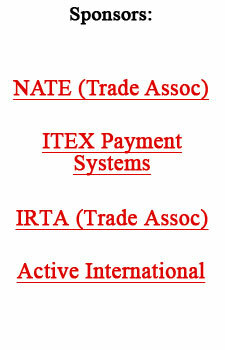 Each member is assigned to a trade broker. A broker typically represents a set of 100 - 200 member businesses. The broker�s job from the standpoint of the client is to help the client sell his goods to other members and to inform him of goods he might like to buy. This results in new sales for the member that they normally would not have received with their normal sales and marketing efforts and an improvement in cash flow by offsetting normal budgeted cash expenses. The broker�s job from the standpoint of the trade exchange is to stimulate trade transactions, since the exchange�s revenues are directly tied to volume of trade that occurs among members. The broker stimulates trade by working to help clients spend their trade dollars when they have positive balance and generate sales when they have negative balance. The broker�s primary tool is the referral, referring potential buyers to suppliers. While member businesses are under no obligation to follow the broker�s referrals, research and experience show that they generally do. In a real operational sense, a trade exchange is like a financial institution that not only provides loans but also works hard to help its customers repay them through additional sales. The organized trade exchange model provides a number of interesting opportunities for microcredit. The modest line of credit that trade exchanges extend to members� businesses is provided in terms of trade dollars and thus requires little or no capital to secure. This mechanism could be used by MFIs to achieve increased leverage from their available capital, meaning they could lower the interest and fees charged to loan recipients. This leveraging of capital is possible because of the excess capacity in goods and services present among the members in the barter pool. Thus, to use this model for microfinance would require establishing a barter pool with a mixture of businesses, with the poorest customers representing a certain percentage of the members. The only real difficulty is in getting the MFI borrowers together to get it started. This is the kind of support to customers that is currently so intensely discussed in the microfinance community. Peter Haddawy at the Asian Institute of Technology, Bangkok, Thailand and Chris Haddawy, founder of BizXchange in San Francisco, California contributed this piece. A tutorial on the basics of commercial barter can be found at www.BizXchange.com. Back in the heady days of the housing boom, ads for exotic mortgage products promised easy access to the American Dream - with no money down. Millions of consumers snapped up their first homes, traded up to larger houses or refinanced to cash out their newfound equity. But prices were soaring beyond their historic relationship with incomes in the hottest markets. Few people asked hard questions as underwriting standards grew lax. And almost no one predicted how much pain was in store when skyrocketing home prices finally came back to earth. Today we find ourselves in the eye of a financial storm. Home foreclosures are at record levels, and because risk was bundled into complex securities and passed along to investors, Wall Street is now confronting an ugly mess on its balance sheets. Staggering losses have toppled some of the biggest names in global finance. When will the turmoil end? What will be the ultimate cost to taxpayers? Who's at fault? Where were the regulators? How can we restore trust in America's capital markets? How can we prevent this from happening again? We invite you to join Milken Institute economists Glenn Yago and James R. Barth as they tackle these issues. Co-authors of a new research report, The Rise and Fall of U.S. Mortgage and Credit Markets, they will offer data-driven analysis ranging from the origins of the crisis to possible regulatory solutions. Join us for a compelling discussion of what went wrong - and where we should go from here. There is no charge for the Forum, but preregistration is required. To RSVP, please click here. For questions, call 310-570-4605. Glenn Yago is Director of Capital Studies at the Milken Institute and a leading authority on financial innovations, financial institutions, capital markets and public policy. James R. Barth is the Lowder Eminent Scholar in Finance at Auburn University and a Senior Fellow at the Milken Institute. Barth, an appointee of Presidents Ronald Reagan and George H.W. Bush, served as chief economist of the Office of Thrift Supervision and the Federal Home Loan Bank Board. He is also the author of The Great Savings and Loan Debacle and Rethinking Bank Regulation: Till Angels Govern.